It seems that Christian radio personality Crystal Joy has a name that’s anointed to do the work she’s now doing. 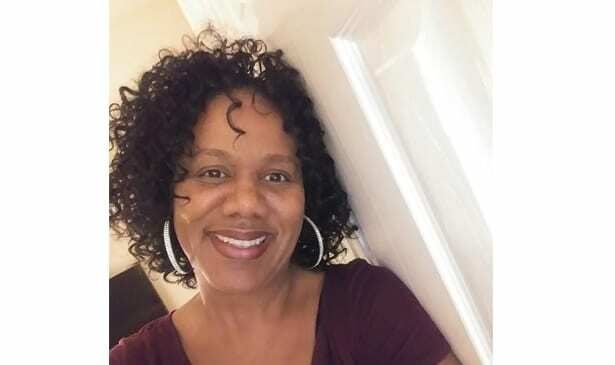 It was about six months ago that this multi-talented woman of God joined the family on WQQK-92Q (9 am – 1 pm Sundays) as the new show host for ‘Joy in the Morning’ when veteran gospel radio personality Connie Denell retired. As her name states, she brings plenty of joy, not only to her new-found listeners but she’s also currently full time at Born Again Church as a Dept. Head and Producer of Living Parables Drama Ministry. Ms. Joy’s been described as witty, compassionate and sincere—all are of course outstanding attributes for a woman of God. “It’s the strangest thing, the more challenges, disappointments, and heartaches you have in life, the more you realize how true and able God is to fulfill every area of your life. He is definitely my all in all,” says Crystal about her Christian walk. Crystal answers 5 Questions about her life and career as one of Nashville’s new on-air radio personalities. TRIBUNE: Filling the shoes of the beloved Connie Denell must have been very tough. How did you approach filling her shoes? C. JOY: I could never fill her shoes. People say, ‘Have you taken her place? Absolutely not! God made everybody unique within themselves. There was no way in the world that I thought I was filling her shoes. I was preparing my heart, my mind, my soul and my spirit for the audience to receive whatever it is that God gave me to release to them. The concept that Kenny (Smoov 92-Q air personality) had for the show, was to be more lively, to be joyful, so to speak and to be encouraging on a consistent basis. He was saying that a lot of people don’t go to church, so we not only want to encourage them but to minister to them as well. We have a good variety of different things to discuss on the show. Was I nervous about all of this? Yes, for several reasons. It has been, strangely enough, 30 years since I have done radio. And when I did radio before it was R&B, and mostly R&B, and some other format as well for about seven years. And once I left radio I was done, as far as I was concerned. So, a friend of mine told me about the talent search competition at 92-Q…I told her ‘Nah, I won’t get it anyway because I am nothing like Connie.’ So, I was so surprised that I was the winner. But Connie (Denell) is enormously sweet. She was so precious about all of it. TRIBUNE: So far, what’s been the biggest challenge about your new role with 92Q and doing the show? C. JOY: I would say juggling my schedule and learning the technical side of doing the show. My schedule with the show requires doing media appearances, doing remotes etc. It can be a lot. And then the technology has changed so much since I last worked in radio. But once you learn it all, it’s a smooth transition. But I really enjoy what I’m doing. TRIBUNE: Are you a native of Nashville? C. JOY: Originally, Chicago and lived a lot of different places because my dad was an Itinerant Pastor. He moved a lot. So by the time we got to Nashville, I said, ‘That’s okay. I got my own refrigerator, peace out!’ (she laughs)… I actually worked in radio in Tuskegee Alabama, at WTUG Radio, under the direction of Al Brown, one of my buddies. I also worked there at radio station WZEZ, which I think is no longer on the air. TRIBUNE: Can you reveal any upcoming plans or new concepts the show will be sharing with their listeners? C. JOY: We want to be a well-rounded gospel show. Meaning, not just music but really get to know people who are Christian authors, the pastors, missionaries, singers etc…And we also want to highlight the things that are going on in the local community that’s very helpful to others. In that, I mean things such as health issues, educational issues and such. We want to get out in the community to show that being a Christian is well-rounded. It’s not just sitting in the pews and saying ‘Amen’ and then go home and do your best to not sin. It’s every aspect of being a human being. So, it’s all of those things, which is a lot of what Connie did, but we’re making sure we incorporate all of those things be sort of like a resource to our listeners for various things they need in their lives, in their family lives or in their future. As well as, share the word of God.